The sixth-largest city in the world and the largest in Brazil, São Paulo is the center of commerce in one of the world’s fastest-growing economies, contributing 20 percent of the country’s GDP. Despite the challenges of government red tape and a still-developing infrastructure, Brazil is quickly gaining a reputation as a market of the future, where mobile technology and e-commerce are helping companies catch up with competitors in developed countries. Warehouse Investimentos founders Rodrigo Baer ’07, Moises Herszenhorn ’08 and Pedro Melzer ’07 are giving digital and green tech companies the opportunity to thrive in São Paulo. At online furniture retailer Mobly, Marcelo Marques ’10 is making access to quality products and services a possibility for Brazilians no matter where they live. Barclays’ Vicente Nogueira ’94 steers financial institution investment toward the country’s growing market. 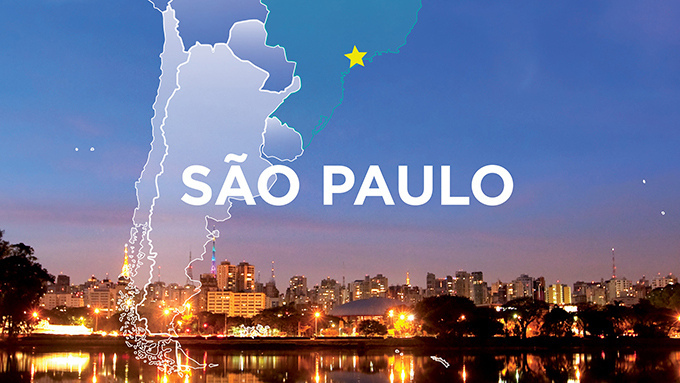 Kellogg is also increasing its influence and connections in the market via a new satellite office in São Paulo.